Homer's Civil War Winslow Homer topic of presentation. AUGUSTA — The Kennebec Historical Society’s November public presentation, Homer’s Civil War Winslow Homer, will take place at 6:30 p.m. Wednesday, Nov. 18, at the Augusta City Center, 16 Cony St.
Joan Plummer, a docent at the Portland Museum of Art for 14 years, and a Winslow Homer Studio guide since it was opened to the public in 2012, has spent many hours and much computer and reading time accumulating a vast repertoire of information about Winslow Homer. She will share some of his stories with the historical society. Homer was mostly a self-taught artist, an individualist, and a realist who painted and drew from nature. His varied works are a large draw for visitors to any museum lucky enough to have one or two in its collection, according to a news release from the society. He first became nationally recognized when serving as a correspondent artist during the Civil War. 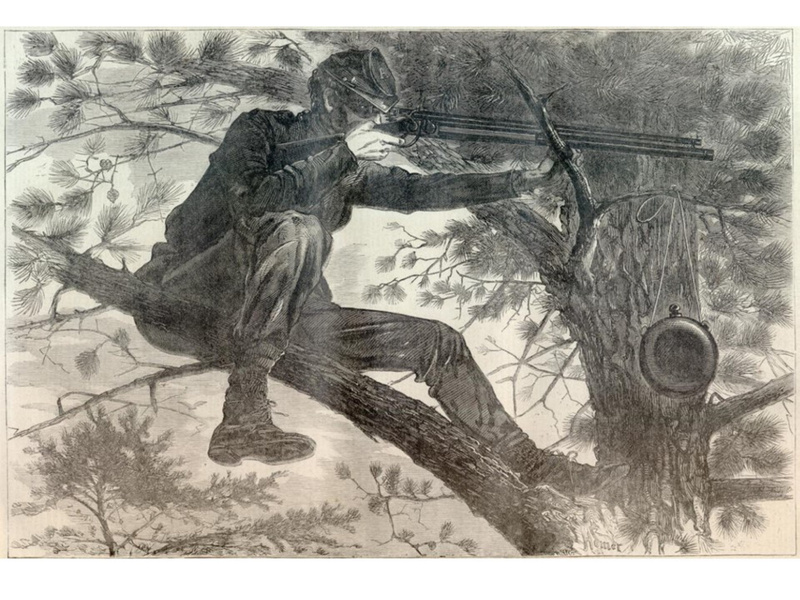 Although, he produced a number of remarkable paintings derived from his time at the front, this program takes a look at some of his iconic Civil War woodblock engravings. They were drawn by Homer during the Civil War, and were published in Harper’s Weekly, the pre-eminent weekly newspaper/magazine. The original show, upon which it is based, was presented in the Portland Museum of Art in 2011 and was put together by Karen Sherry, a noted Homer scholar and curator at the museum. For more information, call 622-7718.